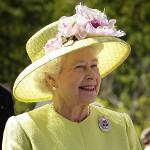 The Queen's Birthday celebrations in New Zealand are mostly official. They include public speeches, military ceremonies, etc. The Queen's Birthday Honors' List is released on the occasion. As the Queens Official Birthday is a public holiday, government offices, educational institutions, banks, and most businesses are closed, and people enjoy the final day of a long weekend. Another special event of this holiday is the official opening of the ski season. New Zealand is located in the Southern Hemisphere, where June is the first month of winter. It is a major skiing destination in the Southern Hemisphere, most ski resorts are situated on the South Island. There have been proposals to replace the Queen's Birthday with Māori New Year (Matariki) as a public holiday. Matariki is observed in late May or early June. In 2009, it was suggested that the Queen's Birthday weekend be renamed Hillary weekend to honor Sir Edmund Hillary, a New Zealand mountaineer who was the first to climb Mount Everest.